Drinking bowl. Heavy gauge steel, galvanised after manufacture. 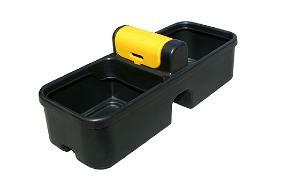 Finished with no sharp edges or corners to protect your animals. Strong and durable valve assembly, best used via a header tank. Fitted with brass valve. Green drinking bowl for in the corner of a shed or stable. 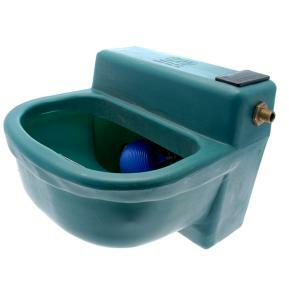 Large reservoir capacity bowl with a float valve and drain off plug. Valve protected within plastic housing. 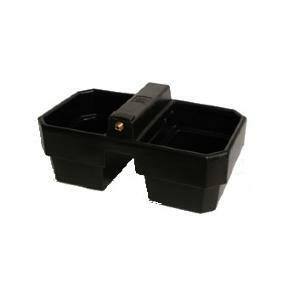 No brackets required, two mounting points for secure easy fitting through holes moulded into the drinker. Fitted with 1/2" brass ball valve. Fitted with 1/2" brass ball valve & 1" drain-off & wall brackets. Designed to run on mains or a header tank. Fitted with a fast flow float valve (up to 175L/min @ 3 bar pressure). Valve protected within a plastic compartment with easy access for servicing. Extra plastic for greater strength and durability. 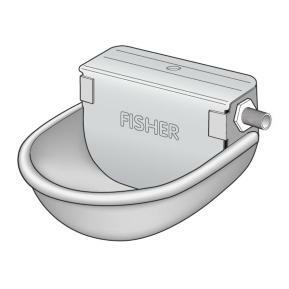 Suitable for all livestock comes complete with moulded central service box and 1/2" brass high pressure ball valve and float. 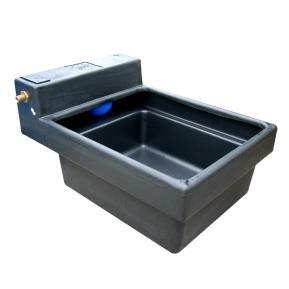 Suitable for all livestock comes complete with moulded central service box and 1/2 inch high pressure ballvalve and float. 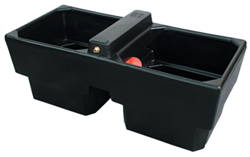 Plastic troughs combat the problems associated with products constructed from traditional materials such as concrete and steel. Unlike concrete, the flexibility of polyethylene allows for expansion of ice thus avoiding cracked water troughs in frosty conditions. The advantage of troughs being lightweight can prove invaluable if troughs need to be moved from pasture to pasture. 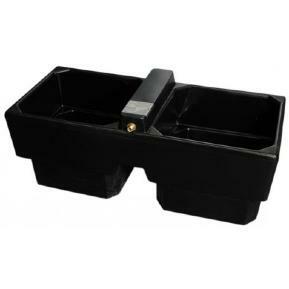 Single Reservoir troughs are neat and compact. They are fitted with a ½” high pressure ball valve protected within a plastic housing to prevent tampering and subsequent damage. 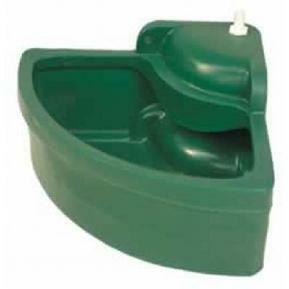 We offer an extensive range of strong and durable water troughs available in a variety of shapes and sizes (50 to 600L). Suitable for use in pasture or the stable they are extremely reliable, easy to install and maintain and can be simply loaded into/onto a vehicle for transport.